Zola Jesus - Okovi: Additions. Vinyl LP. Bleep. Zola Jesus made a welcome return to Sacred Bones in 2017 with Okovi, a record that breathed new life into the darkside synthpop of the ZJ project. Clearly the result of a creative purple-patch, it’s no surprise that the Okovi sessions bore more fruit than could fit on one LP. Okovi Additions features four songs salvaged from the cutting-room floor, each of which is full of the portent and bombast that characterises the best ZJ work. 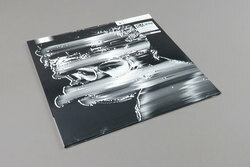 Remixes from Johnny Jewel, Katie Gately, Wolves In The Throne Room and Joanne Pollock help to contextualise ZJ’s sound.